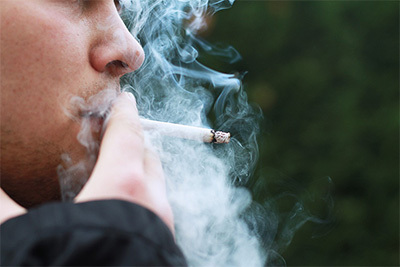 Tobacco is one of the most addictive substances known, and smoking is one of the most difficult addictions to overcome. Yet enormous damage is caused by this addiction. According to UK statistics 120,000 deaths are caused by smoking each year costing the NHS £1.7 billion. Clinical research has shown that nicotine is out of the body within 48 hours of your last smoked cigarette. So if physical withdrawal only takes a matter of hours, why is it that the desire to smoke remains? Essentially there are two reasons. The first one is that you believe that cigarettes make a valuable or essential contribution to your life. The other is that it is a very strongly ingrained habit reinforced day after day over many years. Our habits and beliefs are controlled by the unconscious mind and since hypnosis works on the same unconscious level, the transition from smoker to non-smoker can be made very easily and naturally. One of the reasons for this is that your thoughts are moved away from feelings of deprivation towards feelings of pleasure at being a non-smoker. This is the reason why there is no unwanted weight gain or other problems associated with kicking the habit – the only side effects are an increase in health and improved self-esteem as a result of taking back control a part of your life that has been out of control. If you can honestly say to yourself that you are ready to commit to giving up smoking, hypnosis can work for you, with no need for nicotine patches or gums, no pills, and no side effects! Depending on the individual it takes one or two sessions.